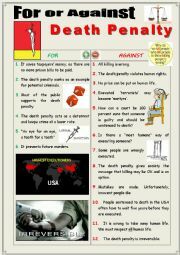 Well, here´s another worksheet aimed at debating. 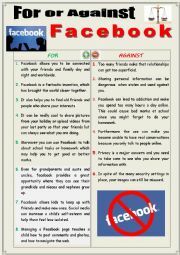 This one deals with FACEBOOK and its IMPACT on children. 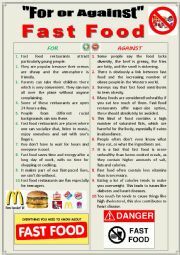 It is composed of a list of pros and cons meant for upper-intermediate. Follows a second sheet proposing useful expressions for debating and taking position orally. Hope you´ll find it useful !! Hugs !! Irregular verb list in groups + sample sentences. Verbs in context. 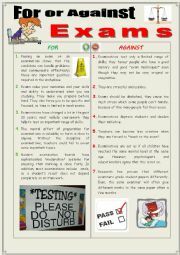 Well, here´s another worksheet aimed at debating. 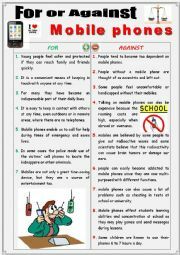 This one deals with Mobile phones and their IMPACT on teenagers. 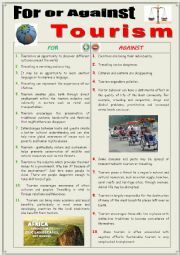 It is composed of a list of pros and cons meant for intermediate ss. 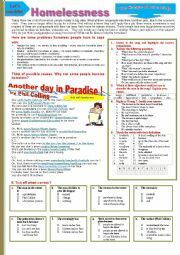 Follows a second sheet with useful expressions for debating and giving one´s point of view. Hope you´ll find it useful !! Hugs !! Phil collins, HOMELESSNESS - Another day in paradise by Phil Collins. 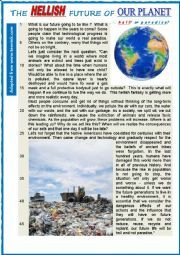 Multi-activity worksheet. 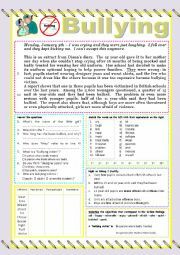 A worksheet that can be used as a reading or test for pre-intermediate or intermediate students. There is a series of varied exercises. 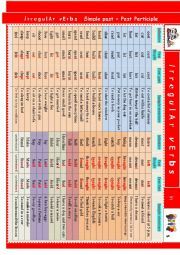 Violent verb tense revision. Right or wrong questions. Quantifier. Vocabulary related to the topic. A worksheet to help students prepare for debating on this controversial issue. A list of pros and cons meant for intermediate to upper-intermediate or even advanced students. It´s followed by a second sheet with useful expressions for debating and taking position orally. Hope you´ll find it useful !! Hugs ! !